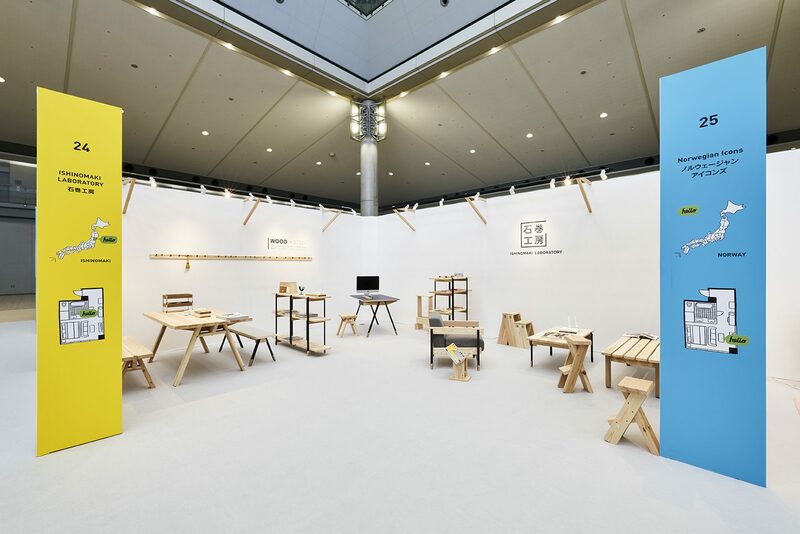 As the theme this year was to introduce new designs from all over Japan, Ishinomaki Laboratory represented Miyagi Prefecture at the exhibition. Prototypes of a new sofa and shelving system made from local Japanese cedar from Miyagi and steel angles were displayed, showing a fresh, new aesthetic that did not exist before. The designs are still being developed so please stay tuned for the official release.